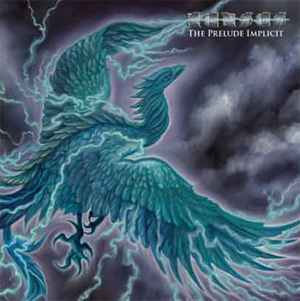 KANSAS, America's legendary progressive rock band, will release their new studio album The Prelude Implicit on September 23, 2016. The album is the first new release in 16 years for the band that has sold more than 30 million albums worldwide, and is famous for classic hits such as "Carry On Wayward Son" and "Dust In The Wind""Song For America" and "Miracles Out Of Nowhere". KANSAS returned to the studio in January 2016 after signing with Inside Out Music. Says Inside Out founder and president Thomas Waber, "KANSAS is the biggest and most important Prog band to come out of the United States. I grew up listening to them, and their music is part of my DNA. The Prelude Implicit undoubtedly adds to their already impressive musical legacy. I can't stop listening to it, and we are proud to be releasing the album." The result of the time in the studio was even more than the band imagined. "This is definitely a KANSAS album," remarks original guitarist Richard Williams. "Whether it is the trademark Prog epic like "The Voyage Of Eight Eighteen", biting rocker such as "Rhythm In The Spirit", or mindful ballad like "The Unsung Heroes", there is something on this album for every kind of KANSAS fan. After years of pent-up creativity, the entire band is very proud of The Prelude Implicit." Lead Vocalist Ronnie Platt adds, "Recording The Prelude Implicit was an incredible experience, and I couldn't be happier with the results. It is my hope that, knowing the intense listeners that KANSAS fans are, the continuity yet diversity of this album will be pleasing to them." The album title, The Prelude Implicit means, "Without a doubt, this is a new musical beginning," explains Ehart. Tattoo artist, Denise de la Cerda, did the oil painting of the front and back cover. "It shows a Phoenix flying from the past into the future." The Prelude Implicit will be released September 23, 2016, on Inside Out Music and is distributed by RED. The album will be available on CD, Double 180 Gram Vinyl, and digitally on iTunes and Google Play. Pre-order opportunities will be available starting later this summer at KansasBand.com and Amazon.com.